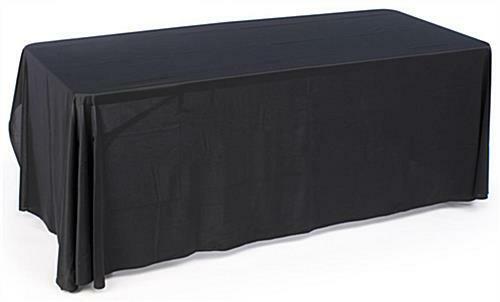 This Inexpensive Table Skirt is a Three-Sided Throw for Events! The Unique Design Allows for Seating Behind Booths! 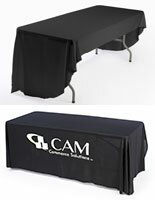 Buy a Professional-Grade Table Skirt for Your Association or Company's Exhibit! 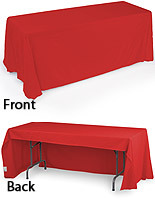 This economy cover, table skirt drapes three sides of a 6' x 30" x 30" table (totalling approximately 75sq ft.). 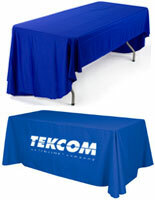 This high quality throw is an affordable and eye-pleasing way to adorn tables at your business, trade show, or hotel. 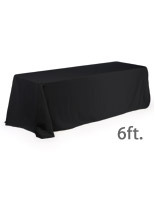 In addition, the table skirt will help compliment any tabletop displays. 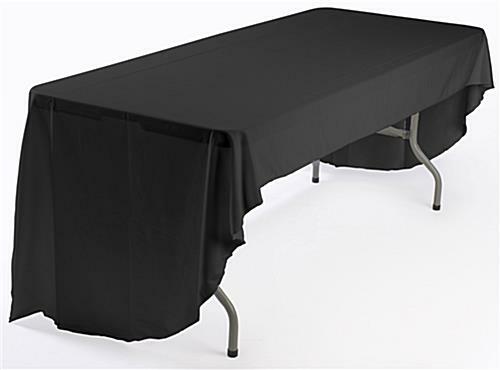 The polyester material falls within 2" of the floor on 3 sides. The table skirt falls 6" down on the back side of the surface. 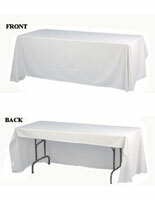 The linen tablecloth is sewn with rounded corners on the front corners and has no seam. 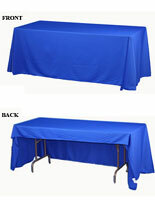 The table skirt is durable and flame retardant and all orders are shipped with a flame retardant certificate from an independent testing laboratory. 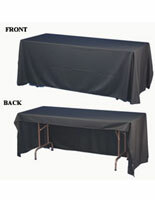 The drapery is also machine washable and dryable.